The Vivarini were a 15th-century family of painters from Murano, the chief rivals of the Bellini workshop, noted for their rich, decorative style. Appropriately, their name means 'goldfinch', and occasionally they signed their works with a little bird. 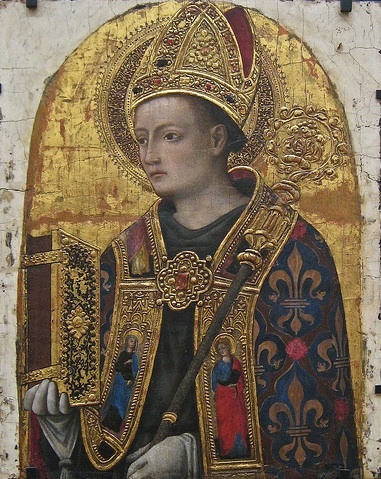 Antonio (c. 1415–c. 1480), a follower of Jacobello del Fiore, was first recorded in 1440 and collaborated with a mysterious 'Giovanni d’Alemagna ' (believed by some scholars to be another Vivarini brother). In his later years he occasionally painted with his younger brother Bartolomeo. Antonio was especially noted for the natural looking flesh of his figures, set in elaborate decorative golden altarpieces, now on display in the Accademia, San Giobbe, San Pantalon and San Zaccaria. Antonio's son Alvise was the third prominent member of the clan.